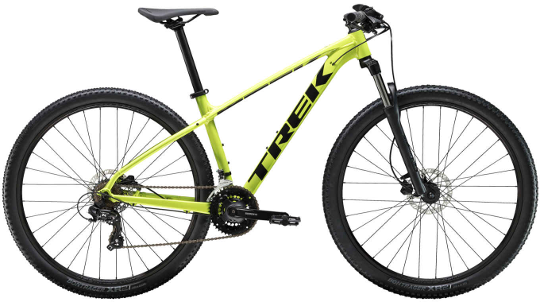 Trek created the Marlin to provide you with what they refer to as a "real" mountain bike. Instead of weak, poorly welded MTB frames, Trek ensured the Marlin frame fits the same lifetime guarantee quality as you would expect from their entire range. Alpha Silver Aluminium is what the frame has been constructed from meaning the frame is strong and durable enough to deal with whatever the trail has to throw at it but not heavy enough to weigh you down whilst travelling through the ascents. 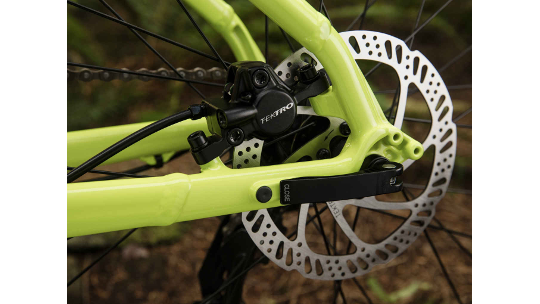 Tektro hydraulic disc brakes ensure great braking quality even in wet and mucky conditions, far more reliable than the traditional rim brake and of a higher specification than mechanical disc brakes. The Marlin is compatible with rear cargo racks which make it great for commuting and 100mm of travel in the front suspension fork ensures the Marlin takes the pinch out of the trail and allows you some freedom to have fun whilst out on your favourite routes. You're new to the trail and want a serious mountain bike that doubles as a commuter – and you want it all at an exceptional value. The Marlin 5 is built according to Trek's MTB heritage and is more than capable of taking on trail adventures. But it's also versatile. It's a popular ride on university campuses because the rack and mudguard mounts make it easy to accessorise and haul a load. The lockout feature on the fork lets you lock the suspension for the most efficient ride on smooth surfaces.